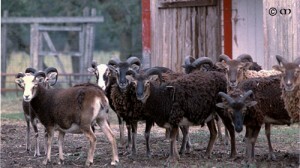 In the last three years, the color palette of British Soay sheep in the United States and Canada has expanded dramatically. 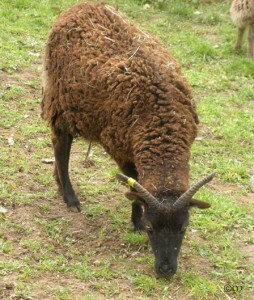 Looking back, it is apparent that much of the variety of color and pattern seen in the ancestral Soay of St. Kilda was not represented in the six Soay sheep that emigrated to Quebec in 1990. It was not until artificial insemination (AI) began in 2008 on our farm and on Kathie Miller’s farm that at least some of these “missing” genes came to be represented in the full Soay sheep in North America. 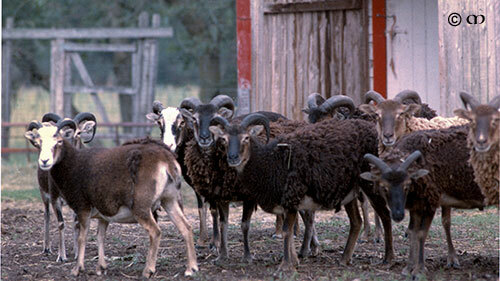 The growing range and nuance in fleece color mark an intriguing new chapter in the life story of these sheep. There is no better way to “talk” about the new colors than through pictures. But first … a bit of historical and genetic context. Without the introduction of any additional genetic input for about two decades, this homogeneous look would persist as descendants of the original flock expanded in number and spread geographically across the U.S. and back into Canada. There were no self-colored animals, either black (dark phase) or chocolate (light phase). Shades of gray seldom if ever appeared. All of that changed when Gaerllwyd Norris and Gaerllwyd Mustard rode into town in little plastic tubes. 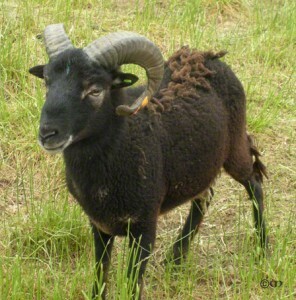 Mustard, whose RBST registration number S10149 can be seen on the right-hand end of the upper set of straws, is a light phase ram of the “wild” or “mouflon” pattern (white or light tan belly and eye markings, light eyelid rims, light lips). His pedigree tells us that he carries the gene for self-coloration. Depending on who the mothers are, Mustard can sire brown, tan, chocolate, or black lambs — either in person or long-distance. Norris, RBST number S10979 on his straws, is a brown-fleeced wild pattern ram. 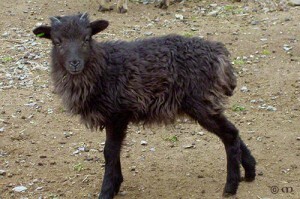 But we know from his pedigree that he carries the gene for light phase and may also carry the gene for self-coloration, so he also can sire both light and dark phase lambs, and possibly self-colored ones as well. The genetic potential of Mustard and Norris is no accident; they were selected by Christine and Kathie for the AI project with diversity foremost in mind. 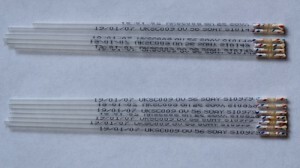 Nice pictures, but what does all this mean and why does it matter? 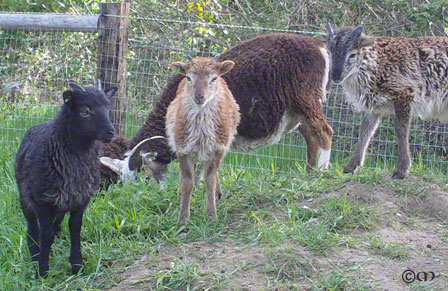 The increased variety of colors and patterns in our British Soay is a visual treat and always intriguing to my resident geneticist. Even more important is the message this additional phenotypic variability sends about the significance of the AI project. The new colors and patterns are just the tip of the genetic iceberg. They are the only part of the infusion of new genetics we can see, but Mustard and Norris have introduced a great many other new genes. 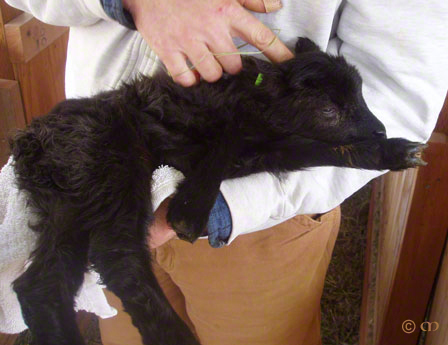 We probably will never know the full extent or identity of all this new genetic material, or precisely what roles each new gene plays in the health and vigor of our flock. 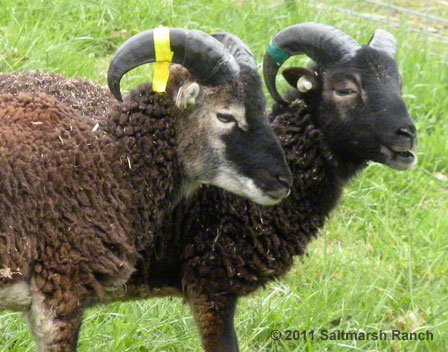 What we do know is that the enhanced genetic diversity resulting from the addition of Mustard and Norris to the list of founders increases the extent to which the North American flock reflects the sheep of St. Kilda. It also re-affirms the need to support efforts to preserve and conserve this genetic heritage through careful conservation breeding. As you can imagine, we finished our 2008 lambing season in a state of high excitement. Little did we appreciate what lay ahead. 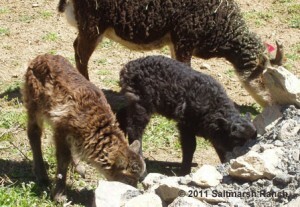 The second round of AI lambs in 2009 brought more surprises and even more color variety. I’ll brag on that batch of lambs in my next post. Wow, do I love this stuff. 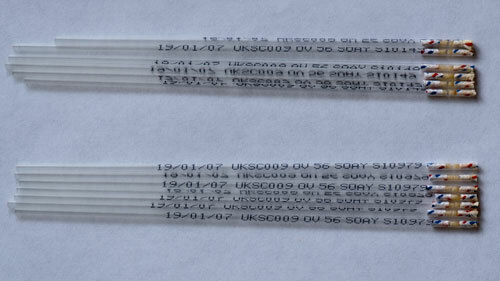 Sweet lambs, lovely mamas, stately papas (even the ones represented by straws . . . one can tell by the offspring), and great intellectual challenges. Thanks for writing it up!